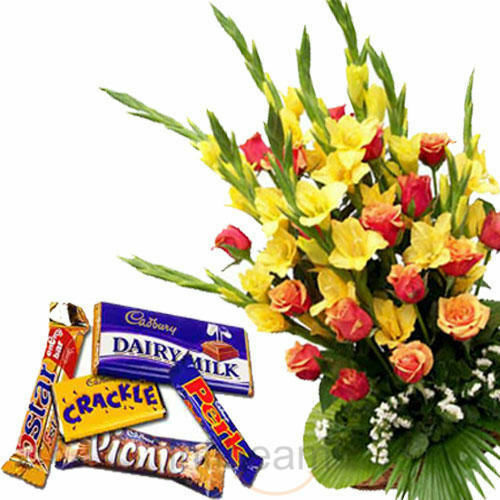 Get 20% off on twelve stems of mixed flower arrange in bunch with lots of green fillers and five pcs assorted chocolates worth Rs. 815 for Rs. 937 @ Infibeam.com.